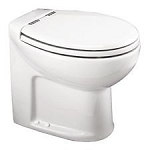 RV toilets by Thetford and Dometic is the most popular toilet in the RV industry. Dometic camper toilets and Thetford camper toilets are the best in their class. No matter what type of toilet that your RV or camper has, Camper Parts World has the rv toilet for you. A cracked toilet can damage your RV. 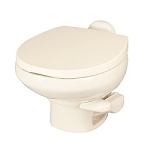 We offer a large selection of Camper toilets by Thetford that come in a variety of heights, shapes and models. 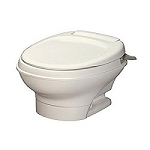 Check out our great selection of Thetford RV toilets that comes in plastic and porcelain with foot and hand flush options. Newer models are more water efficient and taller for more comfort. 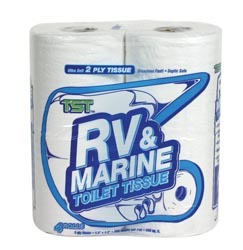 Permanent RV and Camper toilets are only one category of our inventory. We offer a variety of sizes and models to fit your every RV need. We offer vast selection of models from different manufactures with diffrent materials from plastic to china. 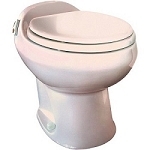 We now offer several different brands of toilets to choose from. We offer Dometic Camper toilets and also we offer Thetford camper toilets as well. 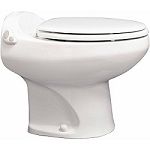 Right now, our Dometic RV camper toilets have free shipping. We also carry all the hardware and accessories you would need in order to make installation easy and carefree. We know you will be satisfied.